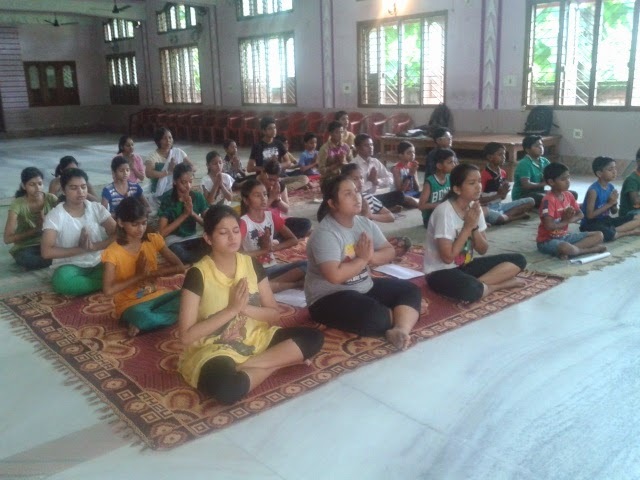 From July 14 to 19 Vivekananda Kendra Bokakhat has organised Pariksha De Hasate Hasate - A yoga module for children for class 8,9,10 class for 19 students and Persionality Development Camp 36 participants. Vivekananda Kendra Guwahati, Organised Pariksha De Hasate Hasate at 5 places for 220 students-Chandmari, Krishnanagar, Prant Office -Pan Bazar, Ambikagiri Nagar and Ulubari.This will be followed by Residential Personality Camp at Maheswari Bhawan, Athgaon Guwahati from 24 to 29 July 2014. Vivekananda Kendra Dibrugarh organised 3days residential Personality Development Camp for 41 participants from July 5 to 7. Aanandalaya Personality Develoment Camp is organisrd from 16 to 22 July 2014. Vivekananda Kendra Dhemaji organised Personality Develompent Camp for 84 students. Vivekananda Kendra Trzpur organisd 4 days residential Personality Development Camp for 28 partcipants from 3 to 7 July.